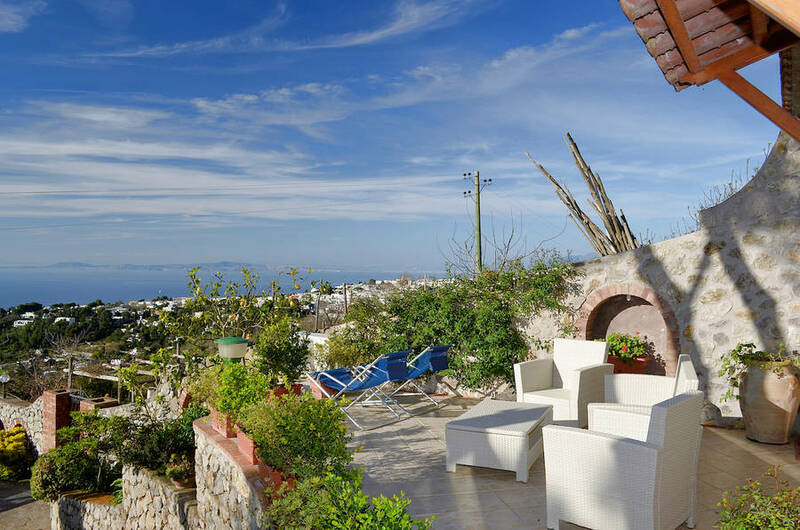 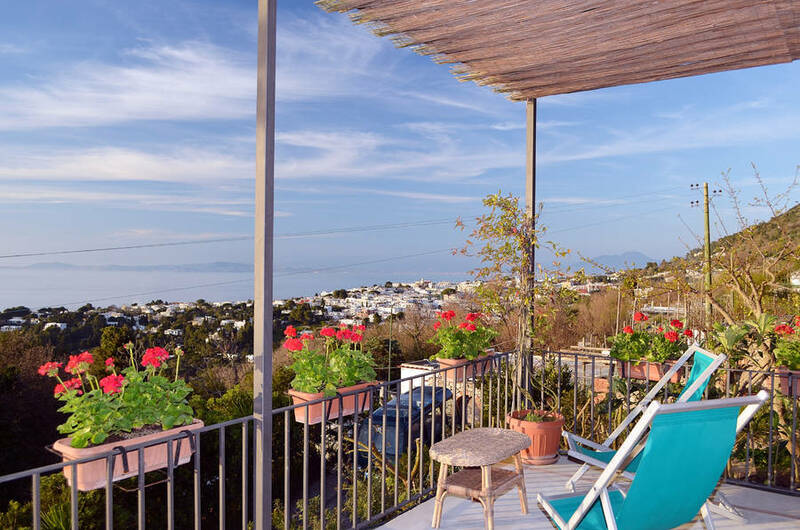 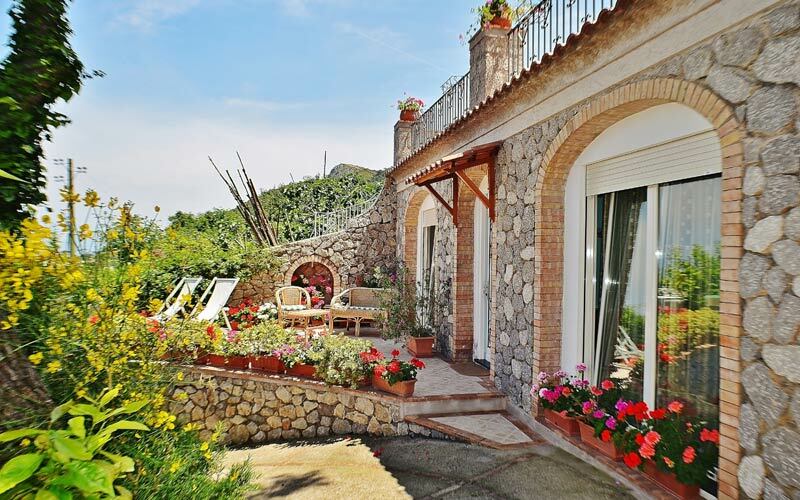 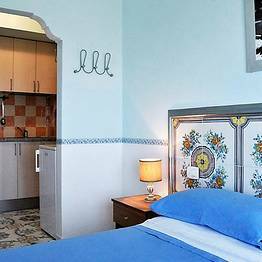 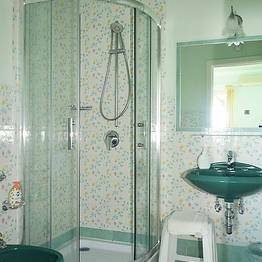 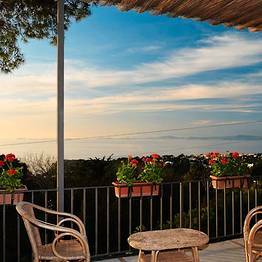 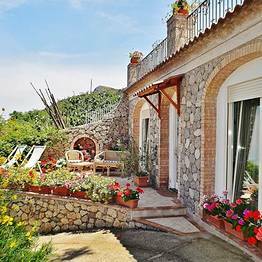 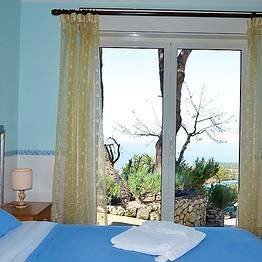 Alle Ginestre is a small bed & breakfast surrounded by the vineyards, lemon groves and carefully tended vegetable gardens typical of the picturesque countryside of Anacapri. 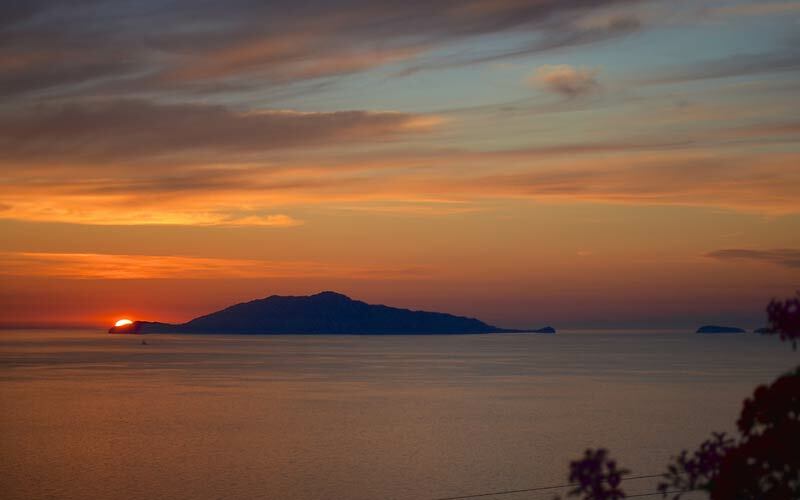 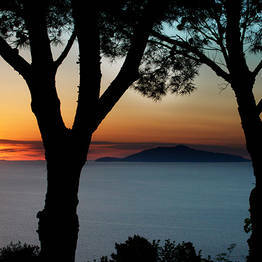 Resting against the slopes of Mount Solaro, Alle Ginestre is located just ten minutes from the center of Anacapri, on the pathway which culminates in the Belvedere della Migliera and one of the most spectacular views of Capri's Faraglioni. 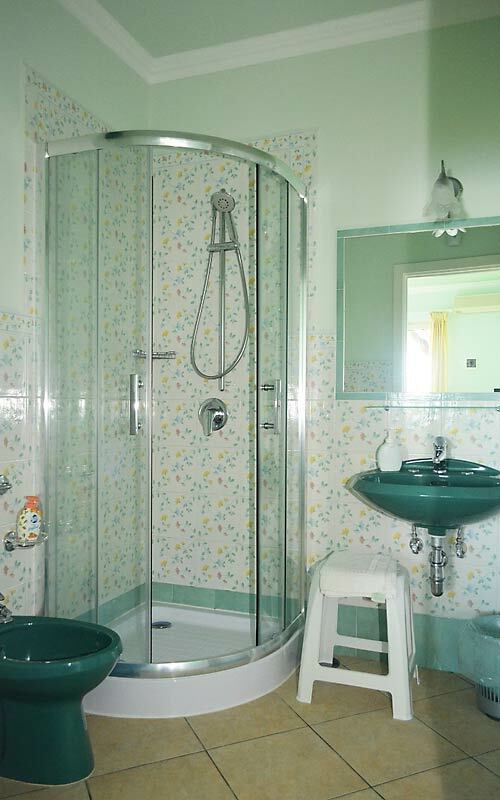 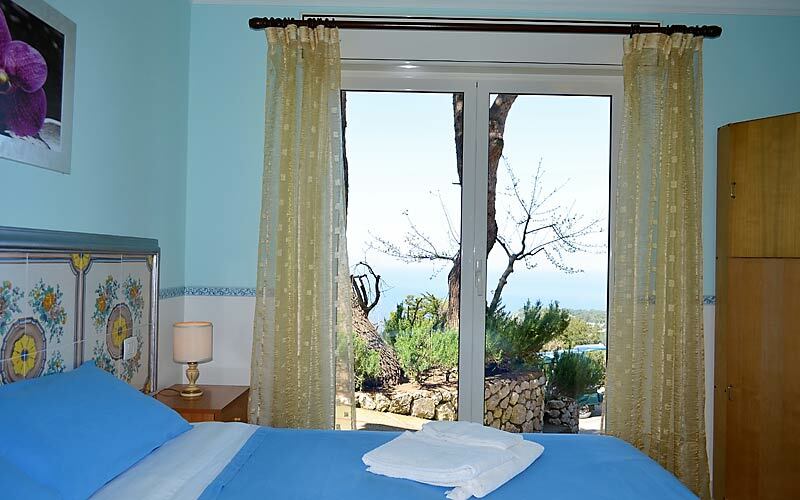 The heart-felt hospitality offered to guests and the bed & breakfast's wonderfully peaceful position are just two of the reasons why holiday makers feel so at home here. 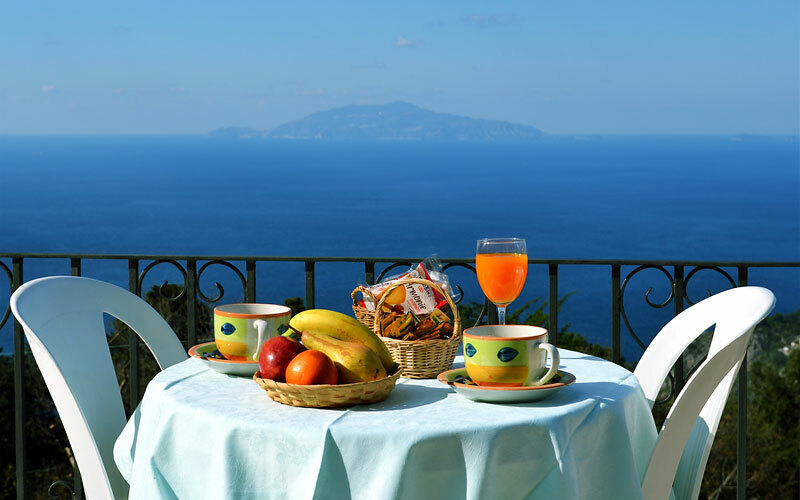 Then there are the views to be admired from Alle Ginestre's solarium terrace, views which extend out over the roof tops of Anacapri and as far as the deep blue sea beyond. 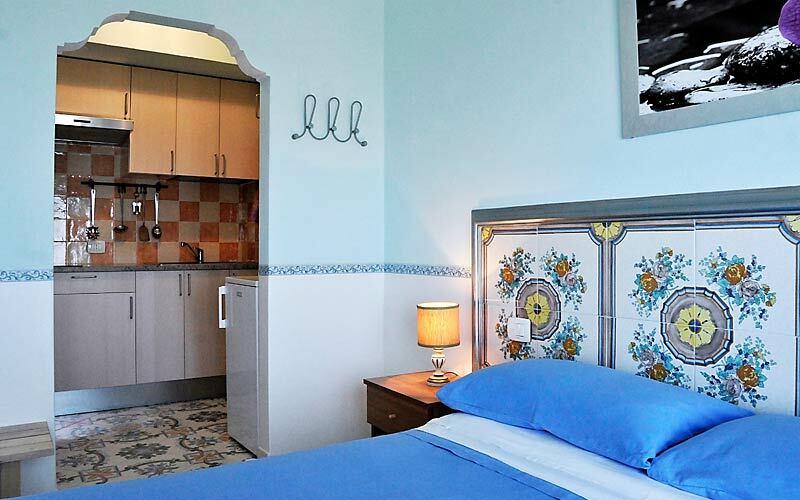 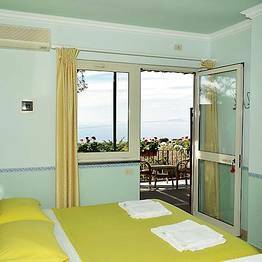 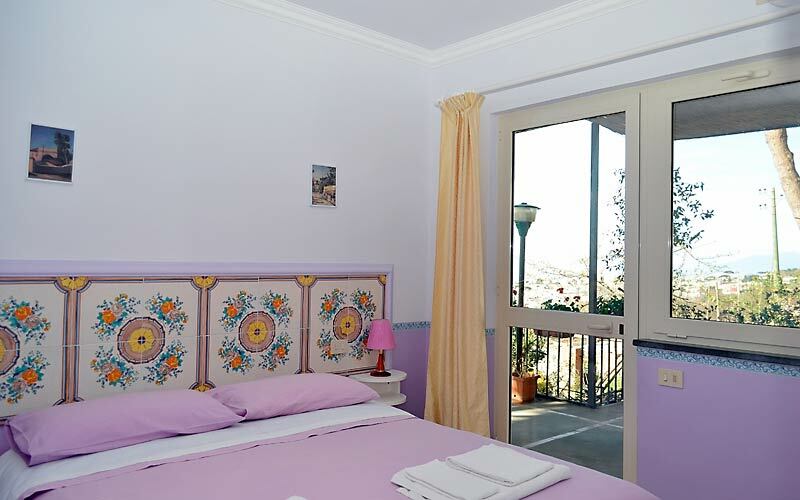 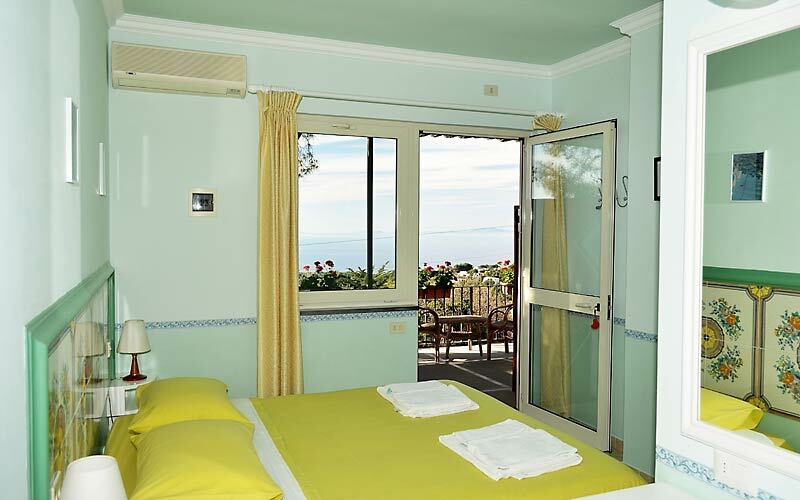 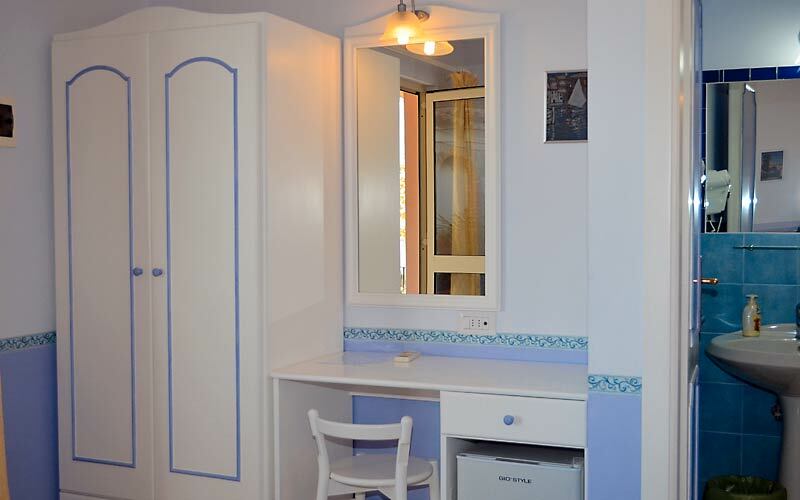 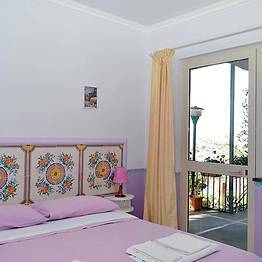 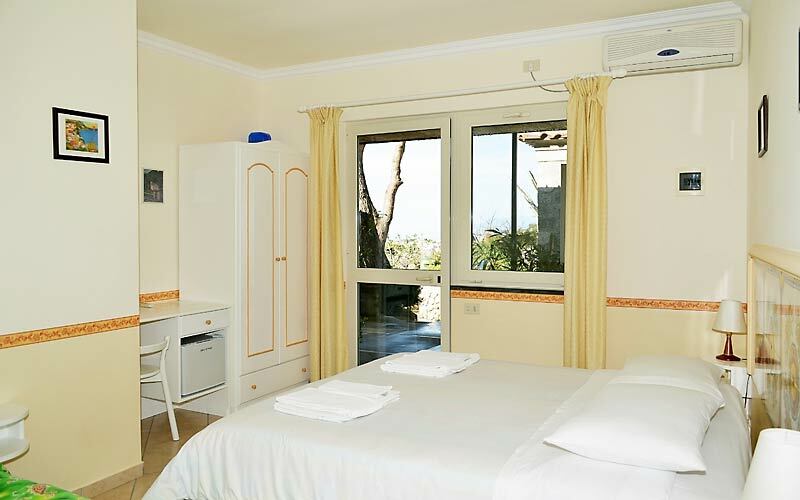 Bedrooms are furnished with the same charming simplicity which characterises the traditional dwellings of Capri. 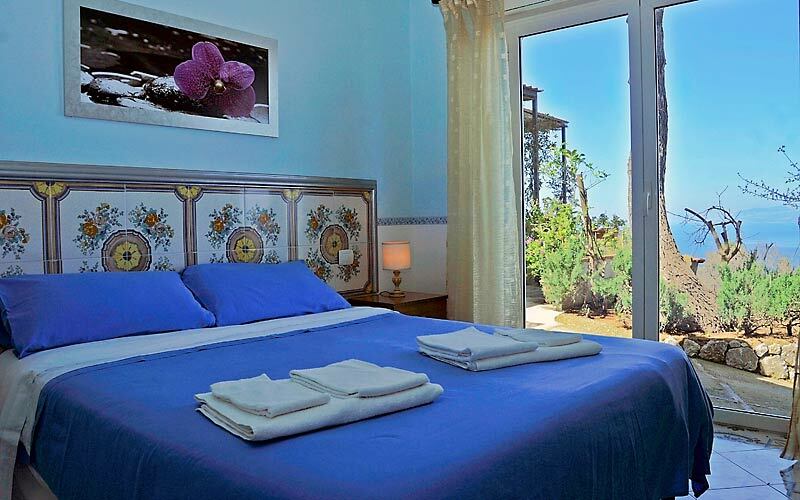 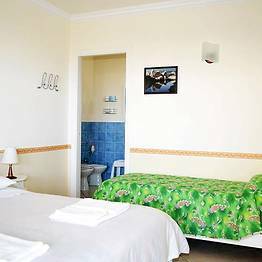 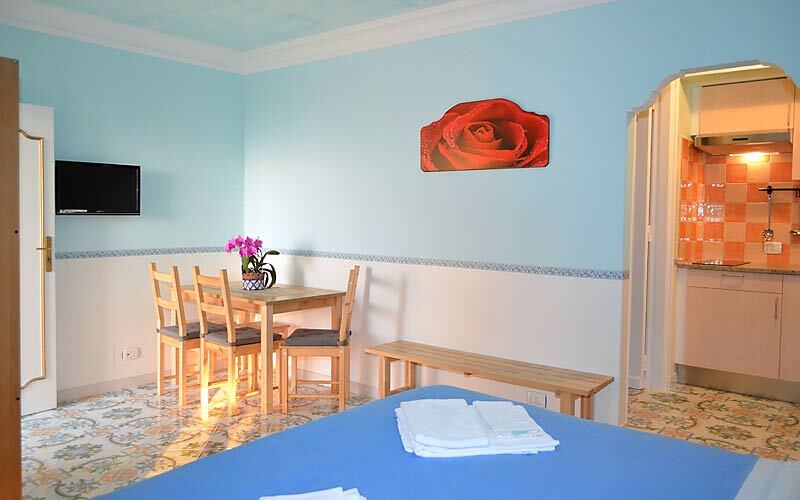 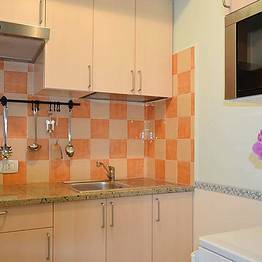 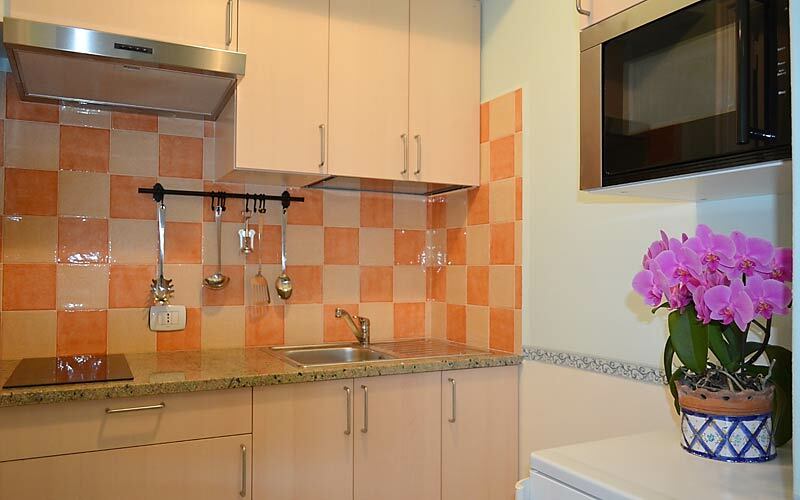 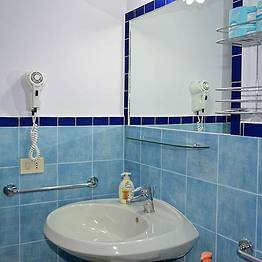 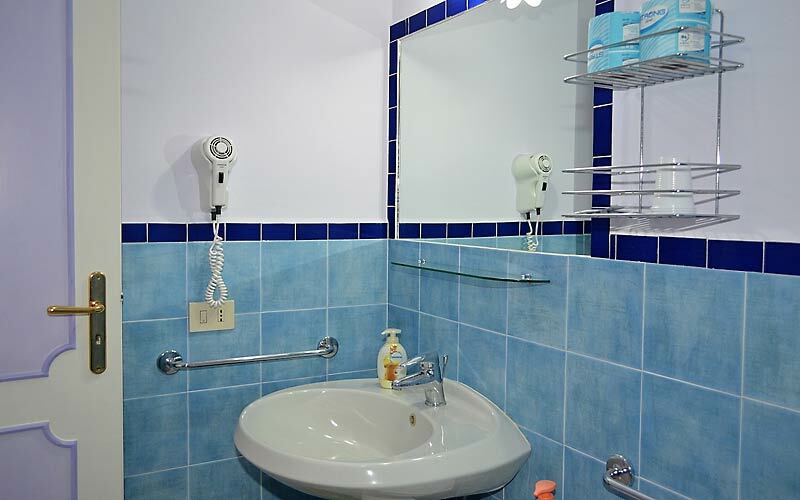 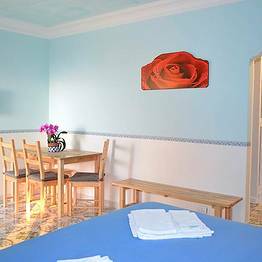 All rooms have air conditioning, television and minibar and free wi-fi internet. 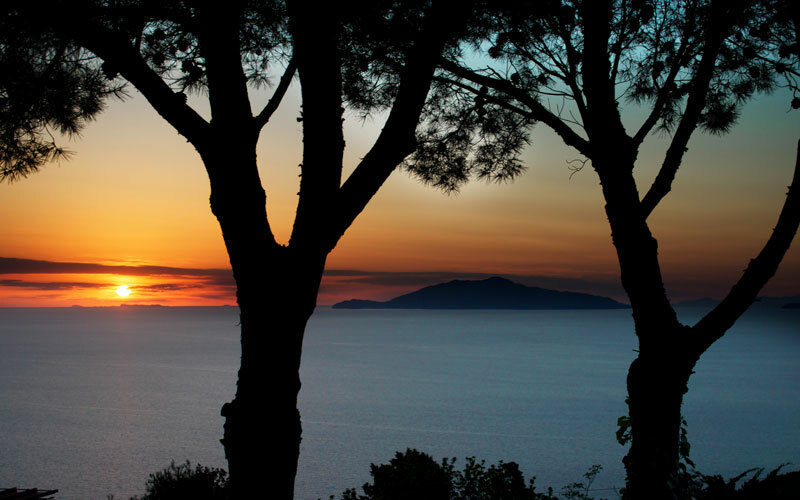 On request, a free transfer service to and from the Anacapri center is available so as to facilitate guests arrival and departure. 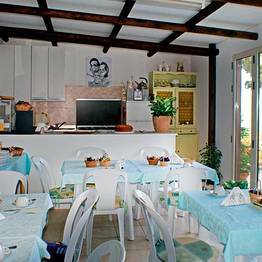 The highly acclaimed restaurant Da Gelsomina Alla Migliera lies within easy walking distance of Alle Ginestre. 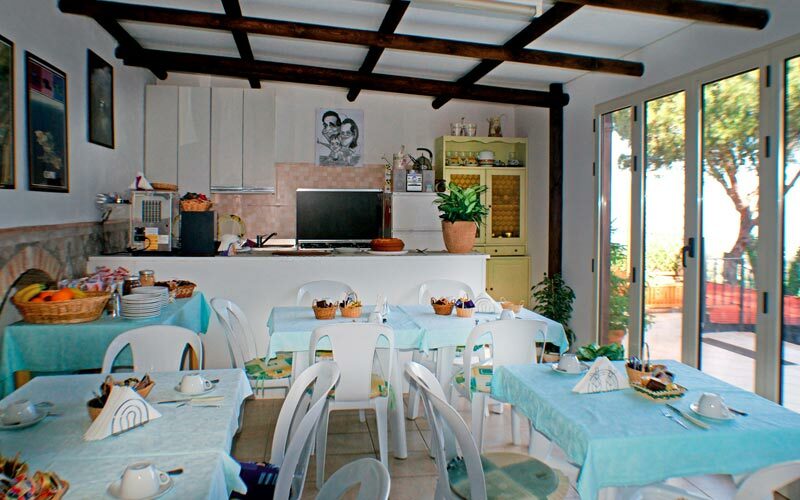 Da Gelsomina also has a large panoramic swimming pool and snack bar. 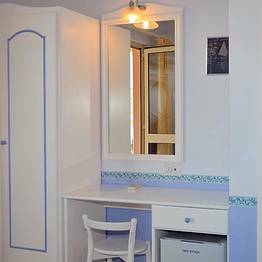 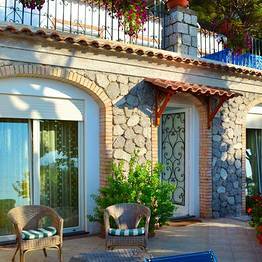 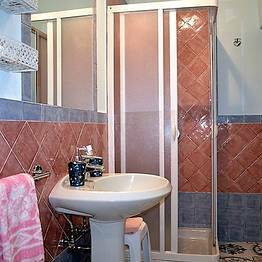 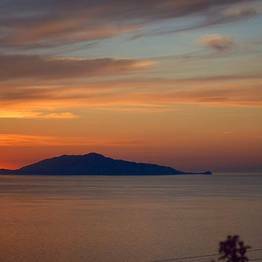 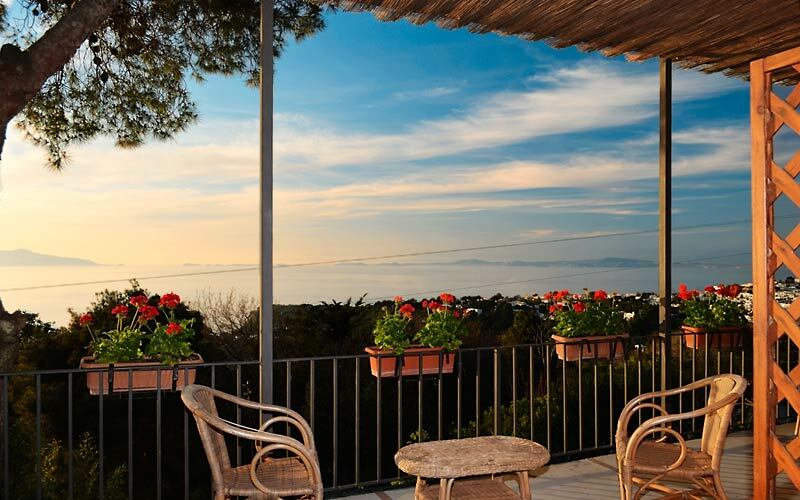 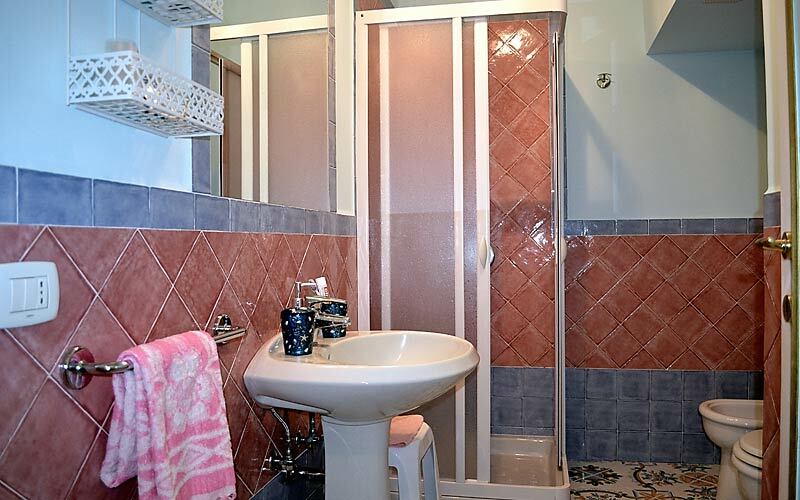 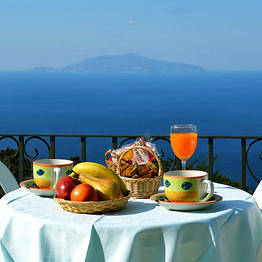 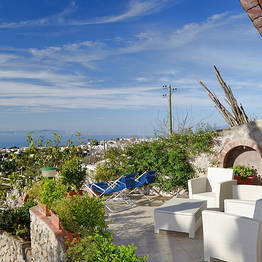 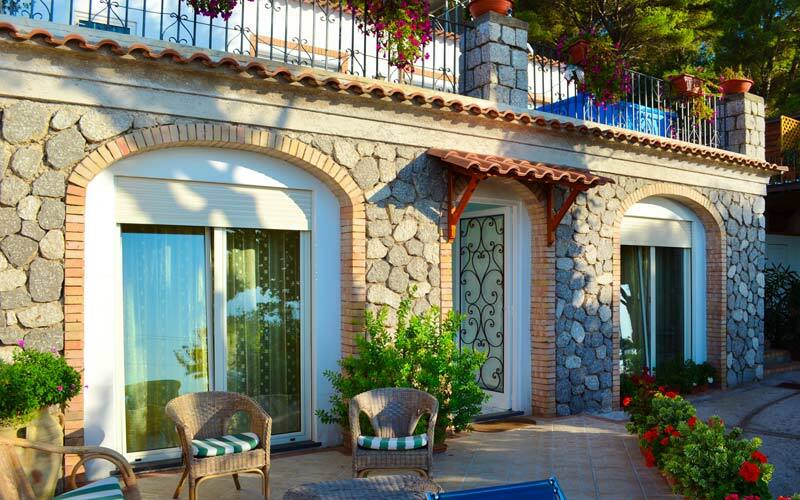 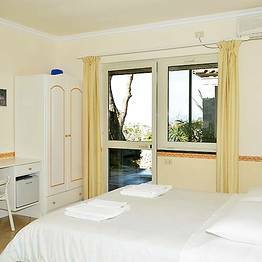 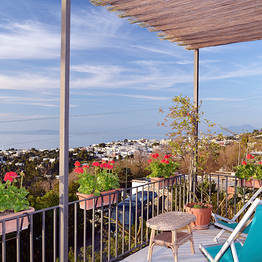 Book Alle Ginestre on Capri.net now with no additional booking fees.